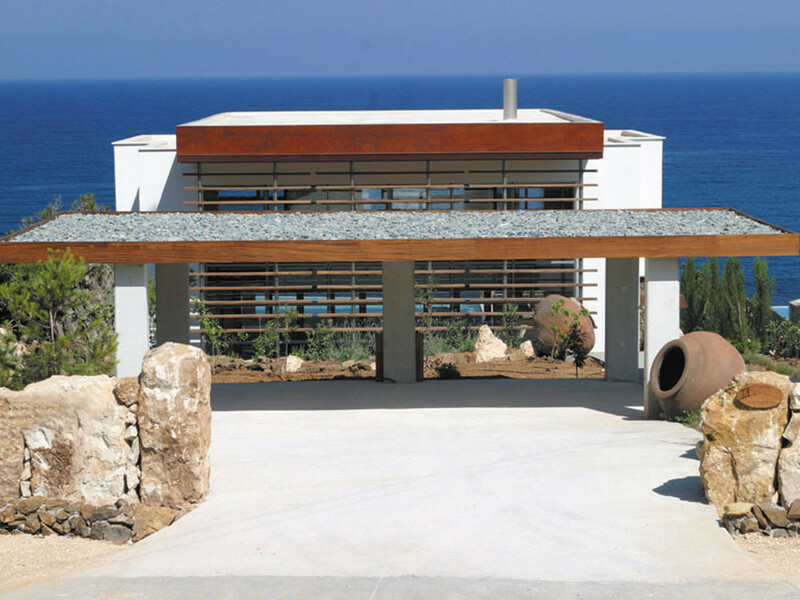 Olivia Sunset villa is a beautiful 4 bedroom, 4 bathroom villa, located directly opposite the sea (200 meters from the beach) surrounded by a mature olive trees garden. 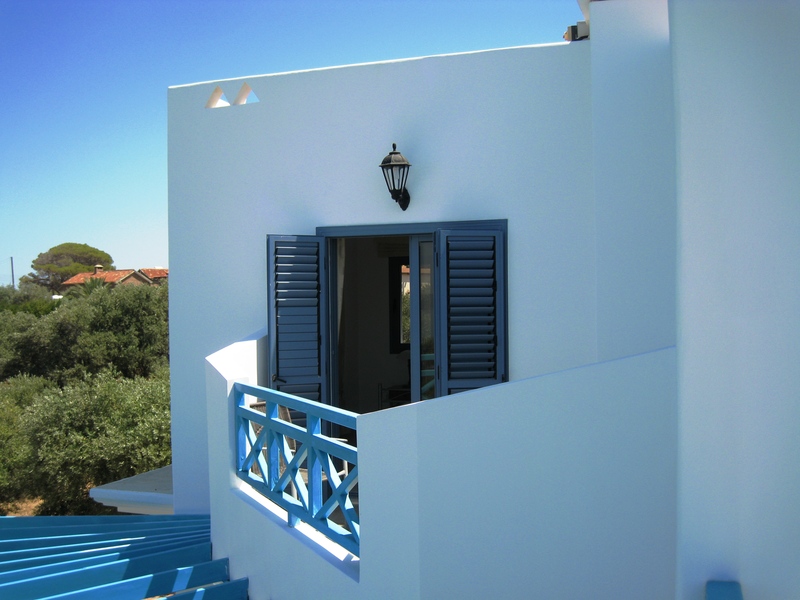 The villa was built on a large plot (2.342 square meters) and with its mature olive trees garden, enjoys great privacy. 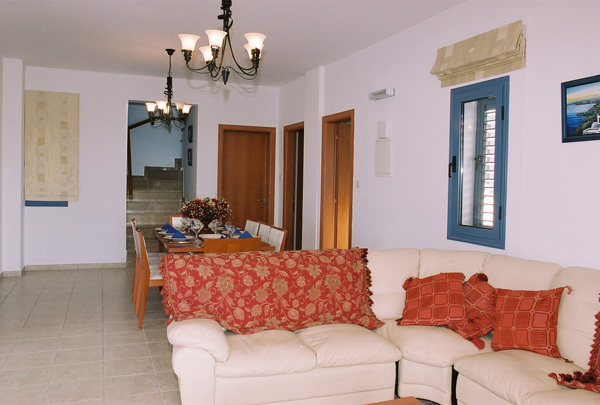 Olivia Sunset has been completed to a very high standard and it is fully equipped. 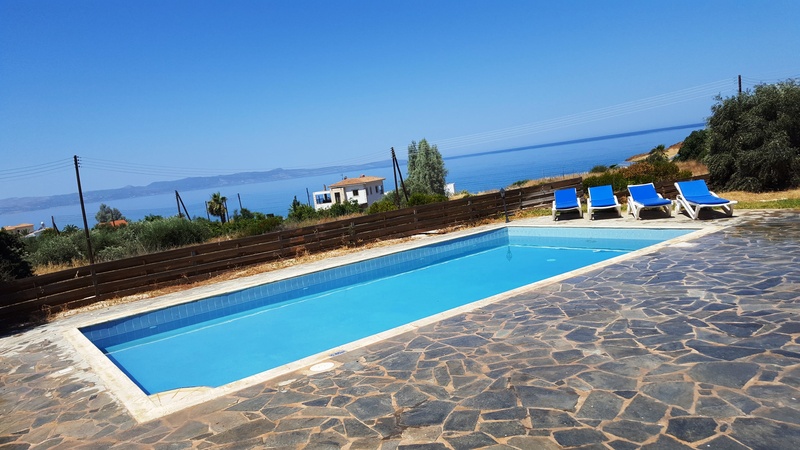 You can enjoy mountain views from the rear of the villa and unobstructed views of the sea and the whole Akamas bay from all principal rooms and from the garden and the pool area. 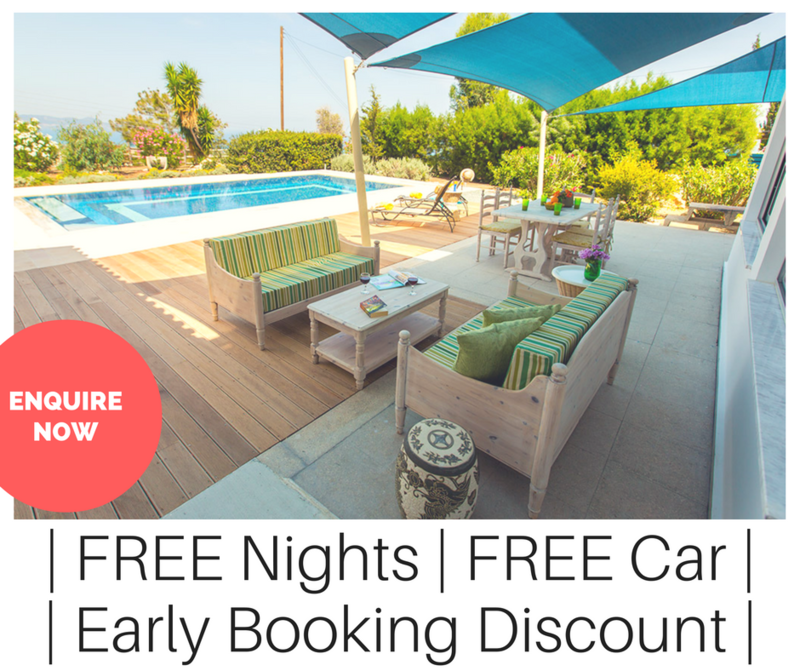 It is located in Agia Marina Chrysochou village between the villages of Argaka and Pomos giving you the advantage to watch one of the most beautiful sunsets in the Mediterranean, the Pomos sunset. Spacious lounge with luxurious leather sofas, satellite TV, Hi-Fi, cherry wood dining table with 8 chairs and air-conditioning unit. 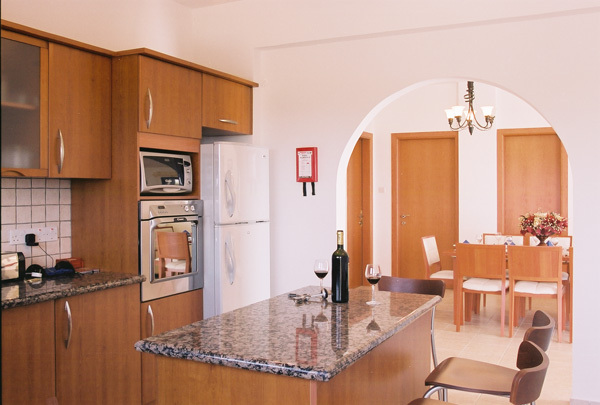 Fully equipped, high quality kitchen with granite worktops and stainless steel electrical appliances including washing machine, dishwasher, microwave, oven and ceramic hob. Guest cloakroom. 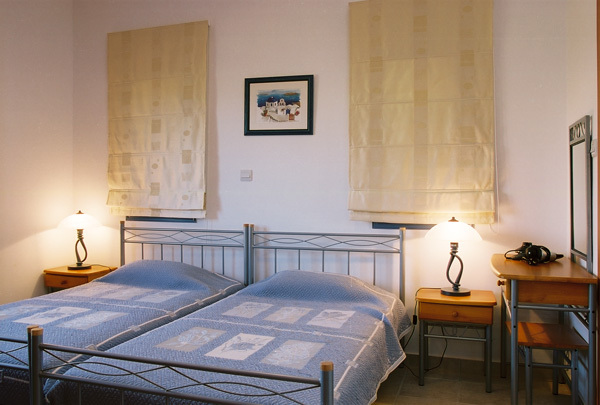 Twin bedroom with en-suite bathroom. 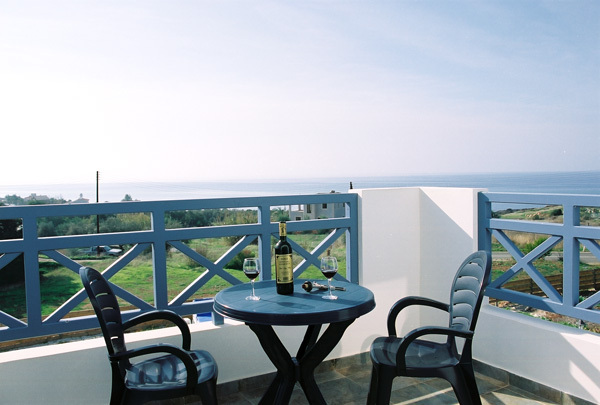 Master double bedroom with balcony offering extensive sea views, with en-suite shower room, second double bedroom with balcony and en-suite bathroom and the third bedroom is a twin bedded room with en-suite shower room. 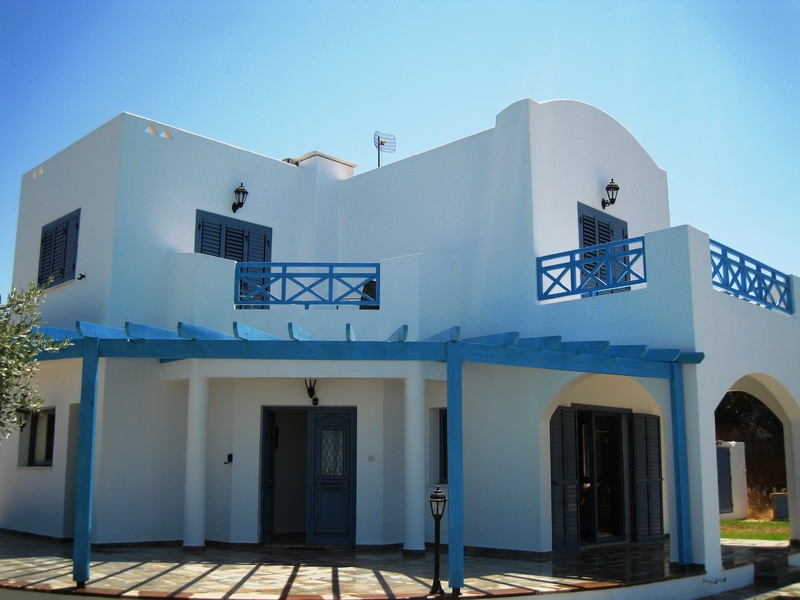 All bedrooms, the lounge and the kitchen have air condition units which can be used for either cooling or heating. Provision for central heating is also available for people who like to install central heating (all needed are the units and the boiler). 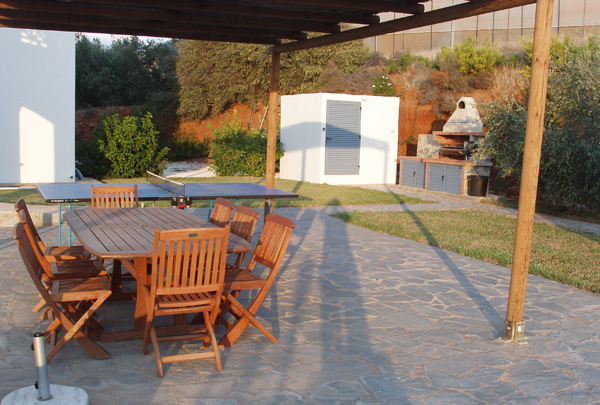 A large private swimming pool with roman steps, a separate children’s paddling pool, a pool shower, barbecue, sun-beds, parasols, pergola table and chairs and automatic irrigation system for watering the whole garden. 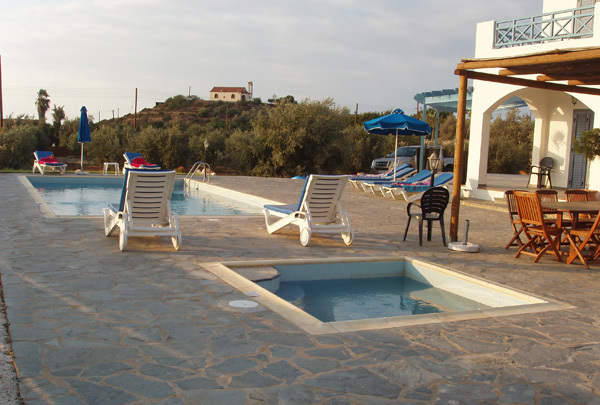 Agia Marina is a quiet traditional Cypriot village located directly on a long beach. 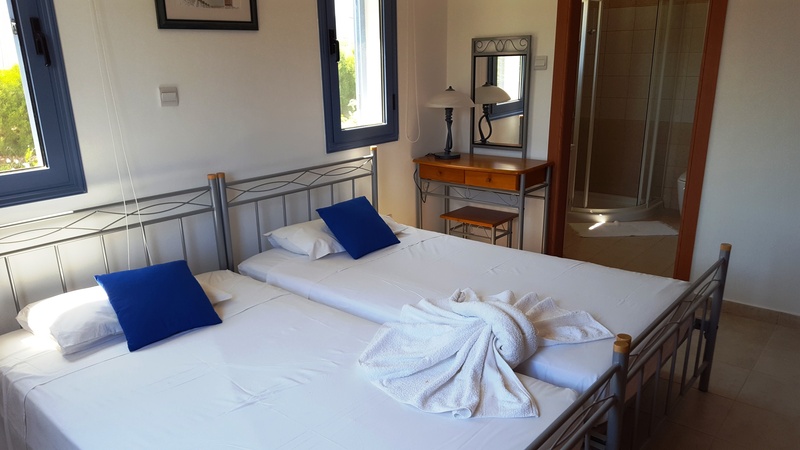 The main town of Polis is just 10 minutes drive along the coast and Latsi area with its fishing harbor is about 15 minutes easy drive whereas the Baths of Aphrodite are only 20-25 minutes drive. Pomos fishing harbor with its restaurants are less than 5 minutes drive from the villa. Above rates include standard welcome pack for all arrivals. 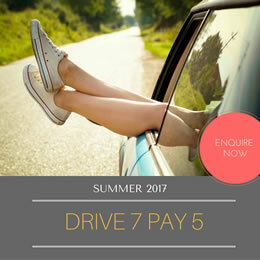 For minimum 7 days we offer free group B car (1000cc) and once per week cleaning.